doctrine:database:import Import SQL file(s) directly to Database. doctrine:migrations:diff Generate a migration by comparing your current database to your mapping information. doctrine:migrations:execute Execute a single migration version up or down manually. doctrine:migrations:generate Generate a blank migration class. doctrine:migrations:migrate Execute a migration to a specified version or the latest available version. doctrine:migrations:status View the status of a set of migrations. doctrine:migrations:version Manually add and delete migration versions from the version table. doctrine:query:sql Executes arbitrary SQL directly from the command line. 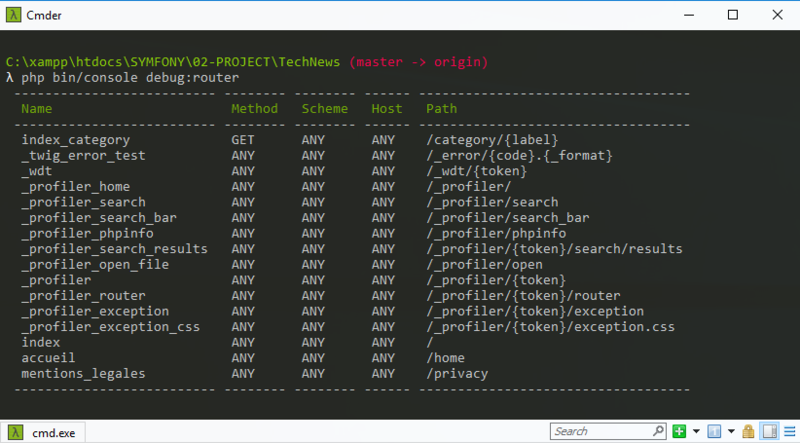 make:migration Creates a new migration based on database changes. 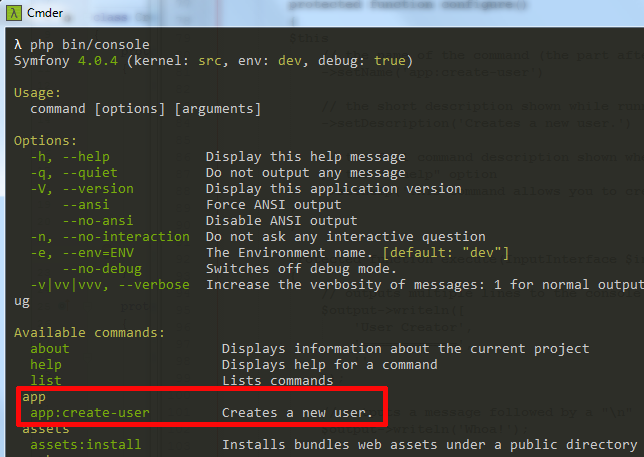 The list of commands may vary in function of your components installed. It can occur that a php error page is due to the cache files.